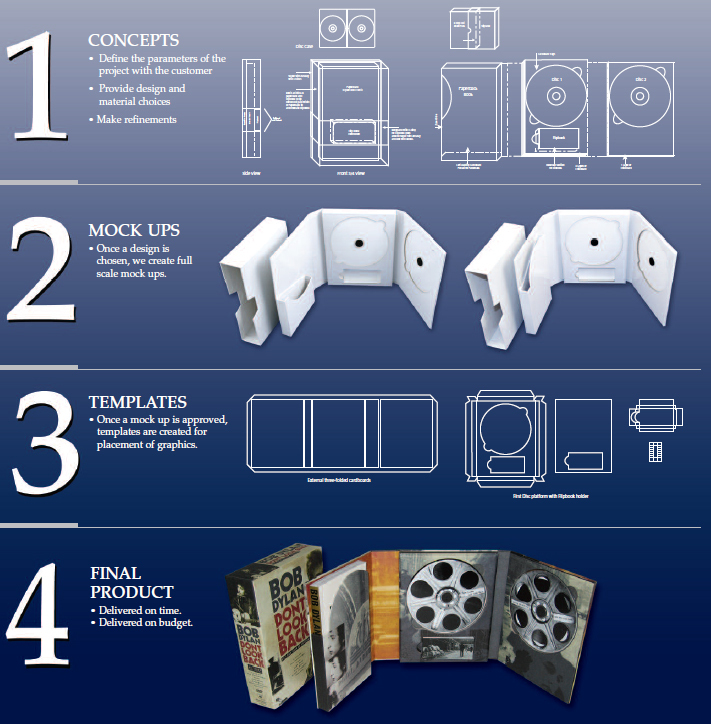 Our design team has proven experience creating packaging for major entertainment companies including A&E, 20th Century Fox, DreamWorks, New Video, Paramount, Sony, Universal, and Warner Bros.
CAV is a leading replicator of entertainment products. 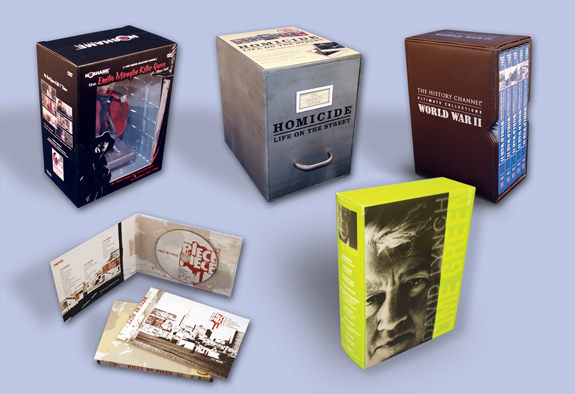 Whether it is DVDs, CDs, Blu-Ray discs or a combination of items packaged together, our goal is to create high quality boxed sets at a reasonable price. We achieve this through a superior design process which provides our customers with innovative packaging which commands consumer attention. 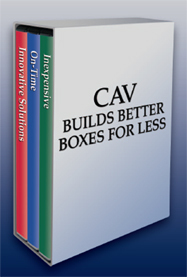 Because CAV is a one stop shop for your production needs, we make your life easier. We create the packaging, replicate the product and ship it complete to your locations. We also have the ability to package and source additional items that you may want to combine with your CDs, DVDs, and Blu-Ray discs.